Detective Brooke Daniel’s first day in the Greenville Homicide Department begins with the gruesome discovery of human remains in the swamp and continues with the mayor’s daughter being slain by a sadistic killer. 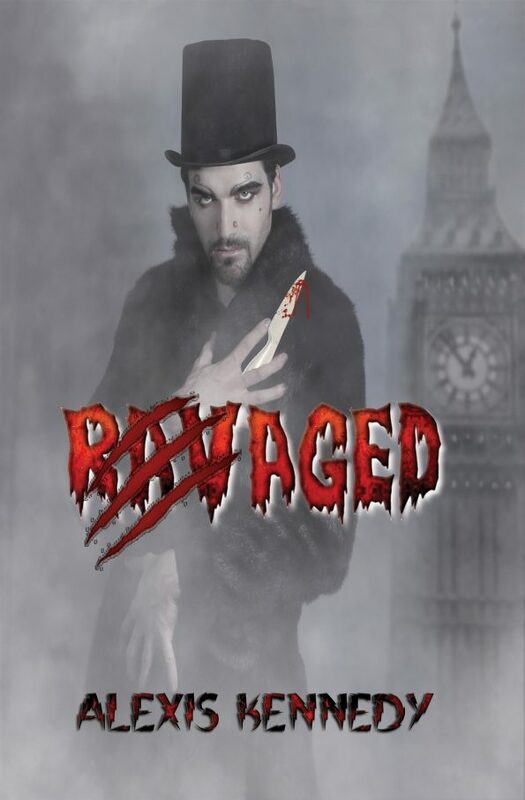 Dubbed “the Ripper” because of his copycat behavior of the infamous Jack the Ripper, he begins to taunt Brooke, as if he knows her personally, and he doesn’t seem to be stopping any time soon. While hunting the serial killer, more remains are found in the area, and the homicide team soon finds itself hunting another kind of killer—an animal kind. When “the Ripper” sets his sights on Brooke, who—or what—will save her? The detectives approached the body, carefully stepping around her distraught father and the substantial puddle of blood spilled. Kyra was lying on her back with her eyes still open and her arms out to her sides. 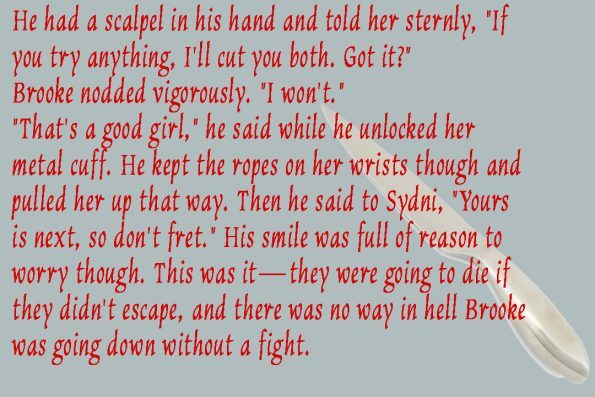 Her throat was cut, but that didn’t quite explain the amount of blood. Her body was covered with a man’s suit jacket, which was no doubt the mayor’s, and it was probably hiding further wounds. Trying to speak through his sobs, Mayor Bryant responded, “You’d better catch him before I do. Who’d want to hurt my girl? I’m glad her mother didn’t live to see this. Oh, God!” A fresh onslaught of tears overcame him.